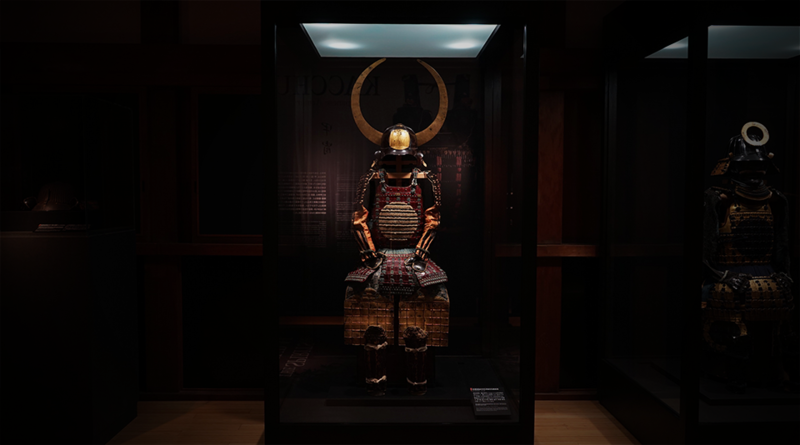 Together with a large scale repairing of Odawara castle in Odawara city, Kanagawa Prefecture, Tokiwagi-Gate Samurai Hall was newly opened on the second floor of Tokiwagi-Gate at the Keep Square in the Odawara Castle Site Park. 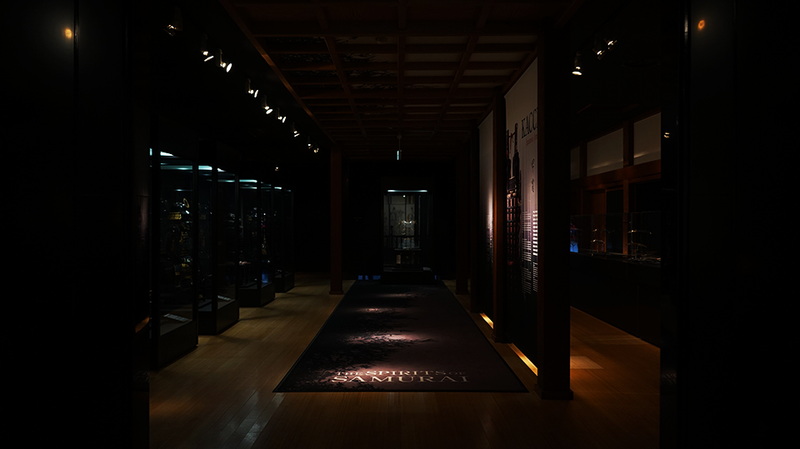 In its exhibition room, an exhibition specialized in Japanese battle gear, such as armor and swords, is held, and at the same time the resolve of Bushido and the beauty of Japanese battle gear are introduced. 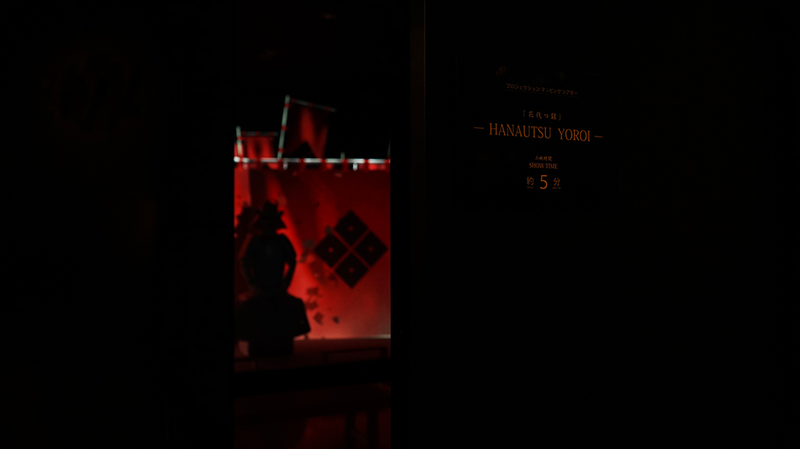 And in the permanently facilitated projection mapping theater, “Hanautsuyoroi”, armor-cut-into-flower, is rolling. The story runs reminiscing about the past battle, whose remains are solidified in the armor. 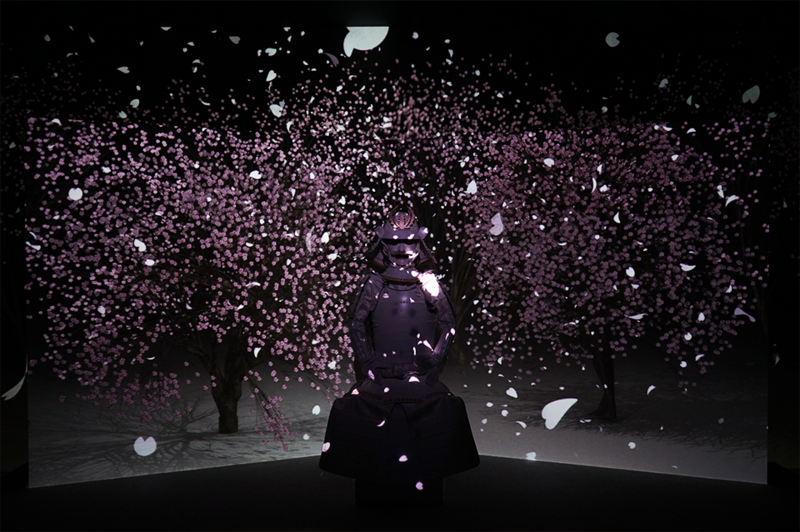 A warrior fought a duel with an enemy, and the enemy lay dead on a road, turning into cherry blossoms. But eventually death would also await the triumphant warrior, and he himself turned into blossoms. We wanted to show that the fiercer the battle is, the more fragile our life looks. At the scene of the duel, we took up a graceful carriage of an actor specialized in the swordsmanship into motion-capture, depicting the seasoned motion of a warrior facing the duel. 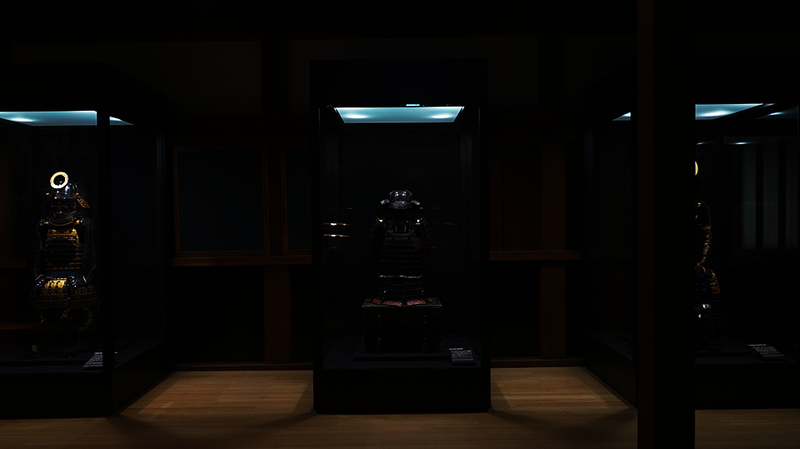 The picture is projected against the custom-made white armor and a folding screen, and the wall. By using three sets of projectors, we could reduce the inevitable shadow behind the armor to the minimum, as a result, the primal energy of life exchanged sparkles so vividly around you. This work can lead you to our trial that technology melting into a story can have the power to invite you to the vicarious joys and sorrows of the past.